Vacationing with your pets can be such a rewarding experience. I love when Rooney gets to travel with us and experience new hiking trails and sights (or sniffs). But traveling experiences can definitely go awry. We’ve all been there; flights get changed, hotels mix up bookings, car rentals aren’t available, etc. So today, I would like to share with you four ways you can prepare for a vacation with your pet. Whether by car, train, or plane, it's important for you to know exactly what type of transportation your entire trip will require. For example, are you transferring from a plane to a car at some point? What about from a train to a bus? Each of these modes of transportation will have specific requirements for your pet. Whether or not they need to be in a carrier for example, or what type of carrier they can even be in. Knowing all of these details in advance will be crucial for smooth travel plans and flexibility. If you are leaving the country you often have to visit the veterinarian before you go on your trip to acquire a health certificate. However, there are a few other reasons that it might be helpful to take your pet to the vet before you leave town. Obtain a copy of your pet’s health record: this includes a list of any medications they are on and validating that they are up to date on all heartworm prevention and vaccines. Obtain extra medications for your pet; just in case, it’s always good to have extra on a trip! Check in on chronic health issues, and know your pet’s status before you travel. Because you never know how travel plans will change, it's always good to know if there are other pet-friendly hotels in the area, and what their fee is for hosting you and your pets. 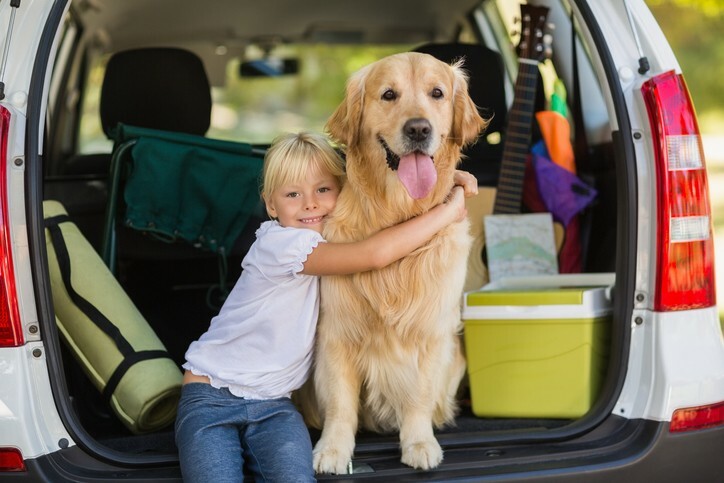 Because anything can happen on vacation, it’s always a good idea to know how to get to the local veterinarian, AND where the emergency veterinarian is located, just in case your pet is injured on a hike or at the beach for example. Those are my 4 quick tips to share with you, but we would love to hear your thoughts. How do you prepare for traveling with your pet? What do you consider to be the essentials? Rachel Sheppard is the author and founder of My Kid Has Paws. 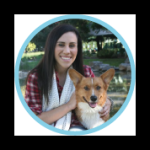 She is a Social Media Manager, blogger, corgi mom, animal lover, volunteer, graduate student, and shoe collector. After graduating from the University of California, Davis with a Bachelor's Degree in Animal Science & Management, she worked as a Veterinary Assistant for 3 years. Her daily interactions with pet parents inspired her to start her blog focused on pet health, pet rescue, and pet products. She has a true enthusiasm for veterinary medicine and animal science, and enjoys sharing her knowledge and experiences with pet parents.